We are finally to the part of the skirt many people dread most. There is no need to fear, with a little practice zippers can provide a professional look as a closure to your projects. I will explain and use videos to show you how to install an in-seam zipper or invisible zipper depending on your preference. I will start with the in-seam zipper. To me, it is the easiest to explain and visualize. For this zipper you will use an all purpose zipper. Zippers can be hard to explain, so I also found a video I think it a nice tutorial for inserting an in-seam zipper. 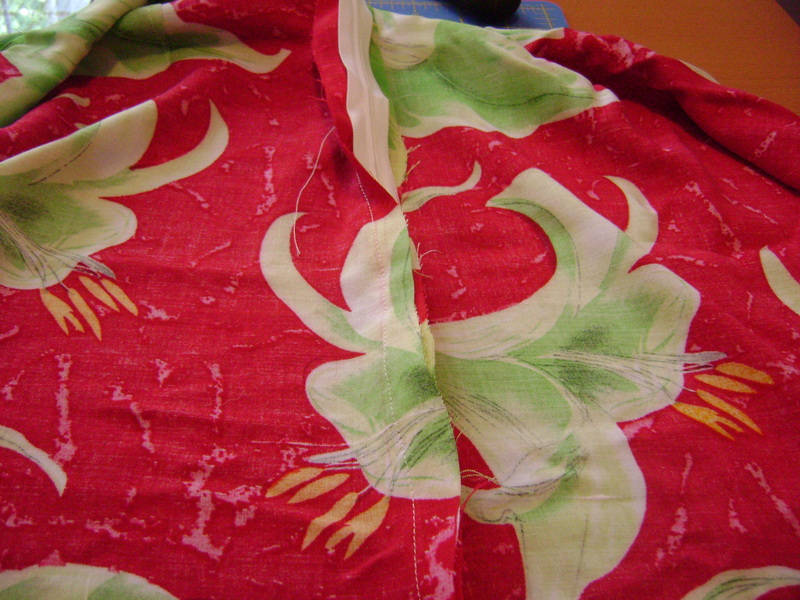 Begin by sewing your center back seams placing right sides together. 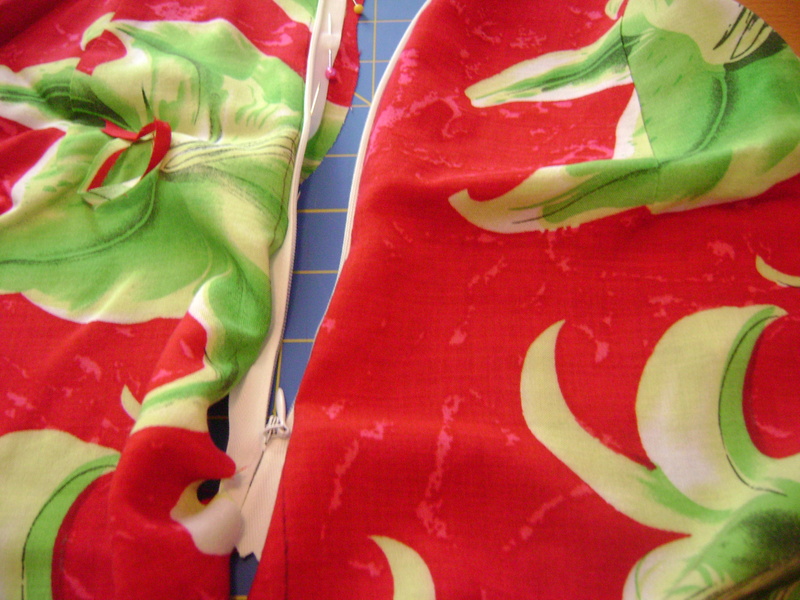 I use a longer stitch toward the top of the skirt where the zipper will be. 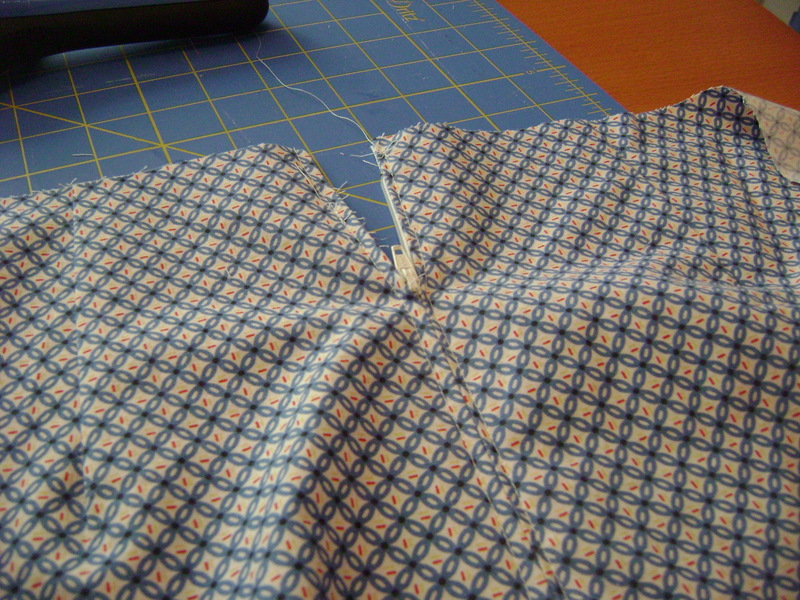 Use a 5/8″ seam and press the seam open. Place the zipper tape face down with the teeth lining up with that seam line in the center and pin in place. This is where the video really does a nice job. 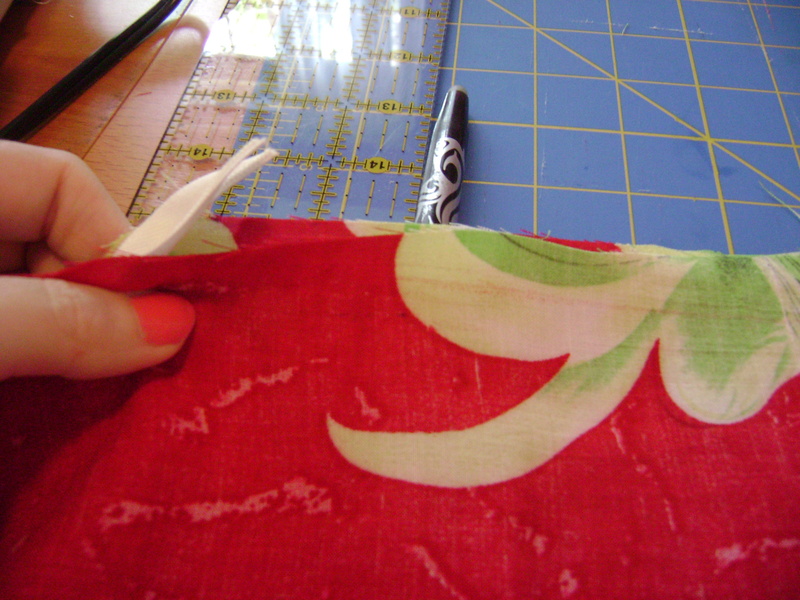 Use your zipper foot to stitch down one side of the zipper tape, pivoting at the bottom to go across the center and pivoting again to return back to the top. 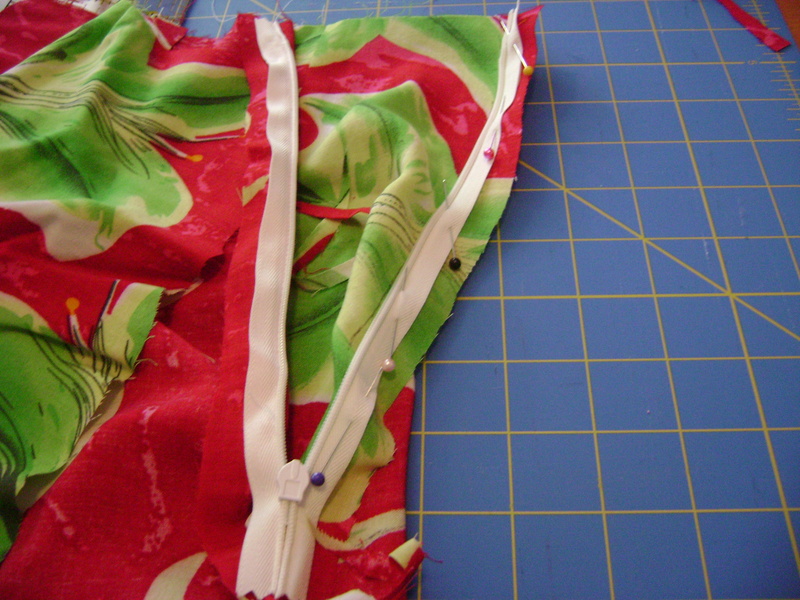 Now flip the skirt over and rip out the stitches in front of your zipper so you can open it. Be sure not to go past the stitches you made across the bottom of the zipper tape. And your in-seam zipper is done! Again, I found a video to really help you install the zipper well. It is nearly 20 minutes, but I feel it is a very thorough video that walks you through step by step. Invisible zippers are not hard to install once you understand them, but I have done several and can still sometimes mix myself up. I often refer to this tutorial from Colette Patterns which is just pictures and text. 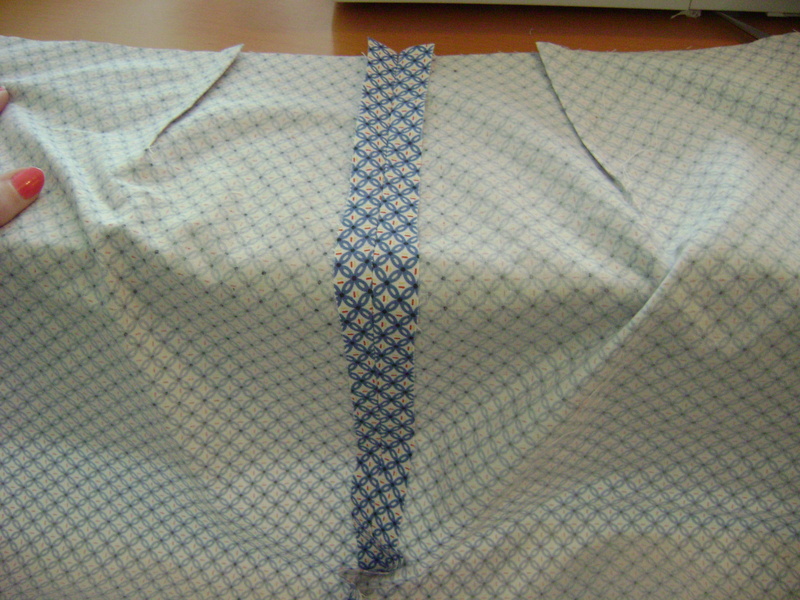 First, I mark my 5/8 inch seam allowance on the right side of the skirt along both center back pieces. 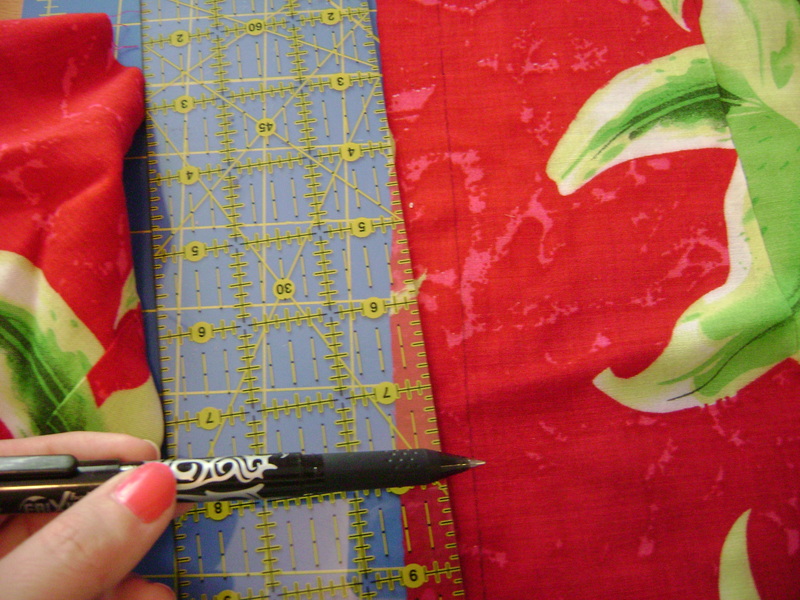 I then pin the zipper teeth along that line as shown above. I am working on the right panel first. Next using an invisible zipper foot, I bought mine for just a few dollars, I roll the teeth of the zipper out as I stitch to ensure I am getting as close to the zipper tape as possible. 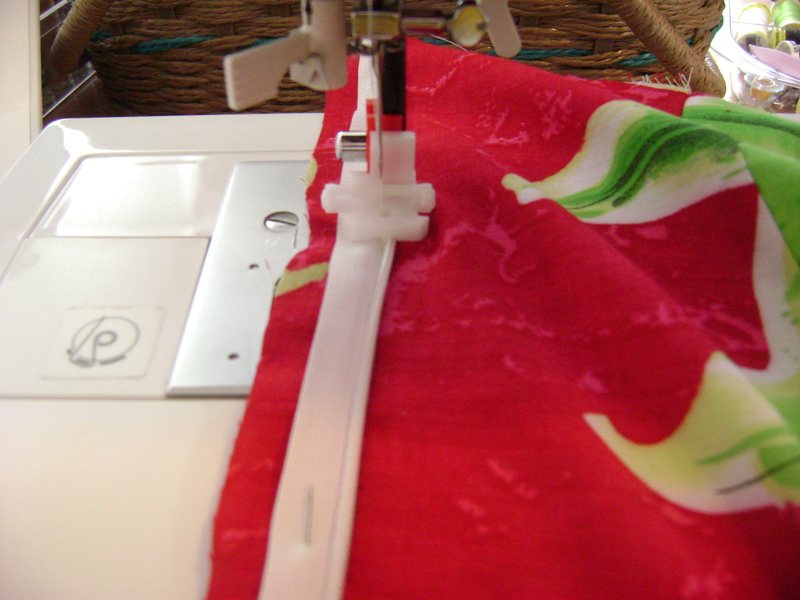 I also do a few reverse stitches at the end to anchor the zipper in place. Now you will repeat the same steps on the other side. After I pin and before I sew I like to flip the garment the way it will lay when I wear it to be sure I did not twist the zipper tape or do anything silly like that. Now go ahead and sew along this side as you did the other one. Now I like to flip my skirt over to make sure my zipper is really invisible. I also like to make sure it zips. When you sew that close to the teeth, you can accidentally go over them which will stop your zipper from working. If that happens, pick those stitches out and go back over giving yourself a little more room. 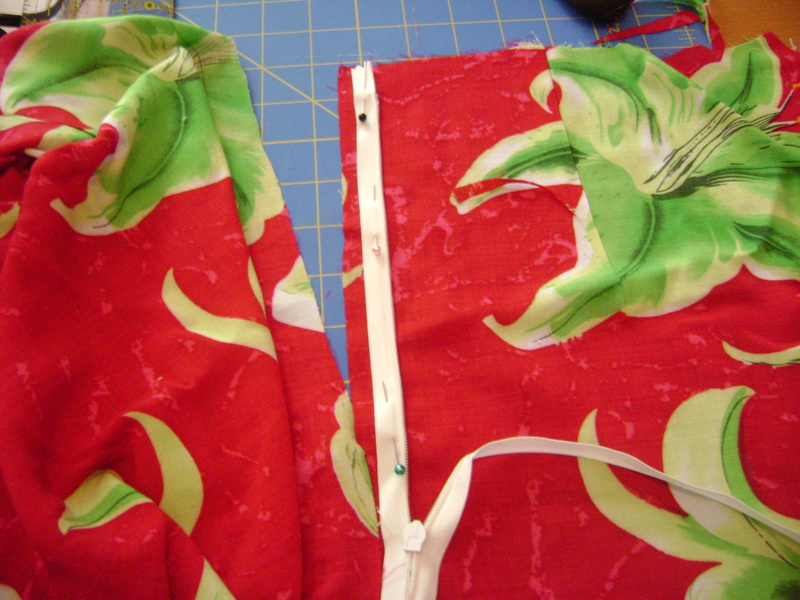 Now place your panels right sides together and pull that little zipper tail out of the way. 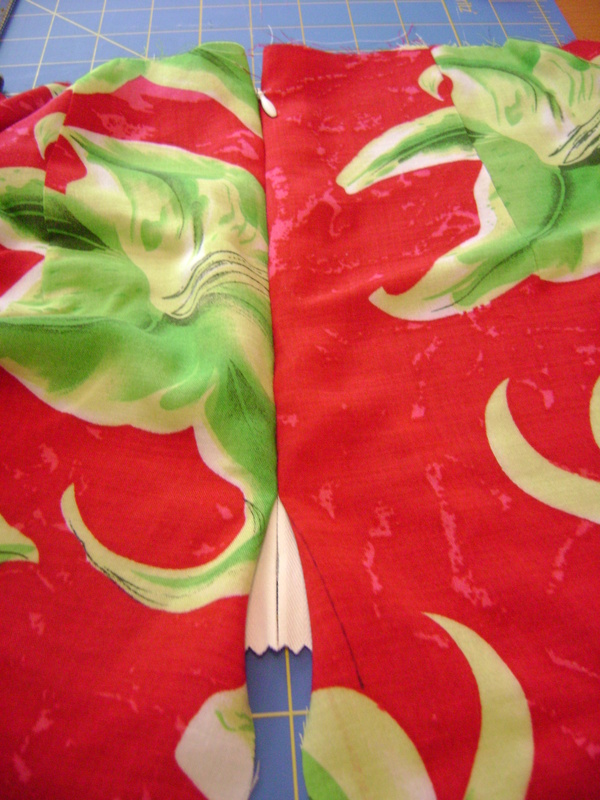 You may pin to keep your seams even down to the bottom of the skirt. 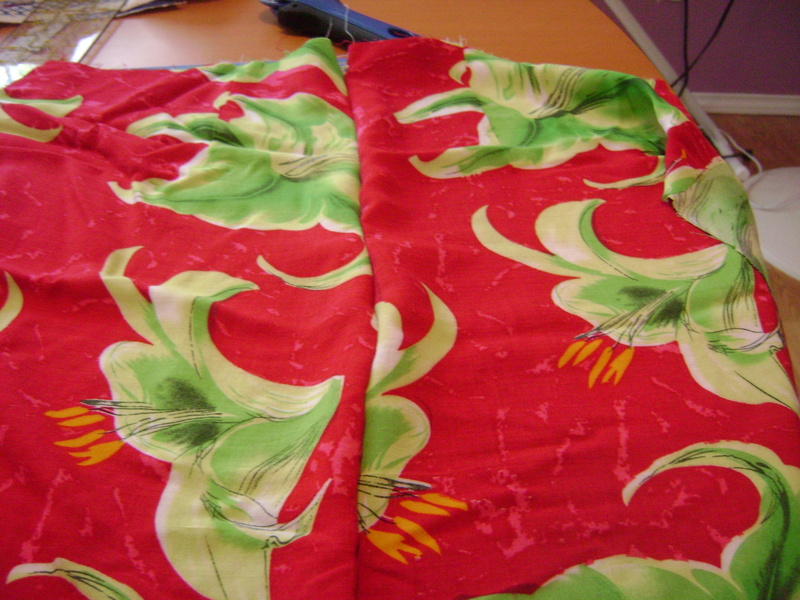 Starting a little bit before the bottom of the stitch I made for my zipper I sewed a 5/8 inch seam down to the bottom of the skirt. Congratulations! You have now completed your invisible zipper! 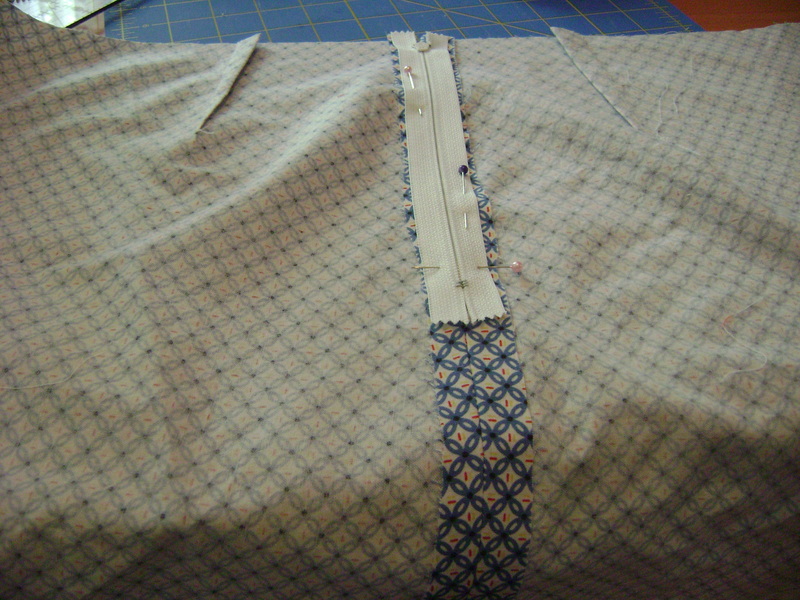 This entry was posted in Clothing, Project Tutorials, Sewing FYI and tagged sewing centered zippers, sewing invisible zippers, zippers tutorial on March 17, 2012 by staciethinks.